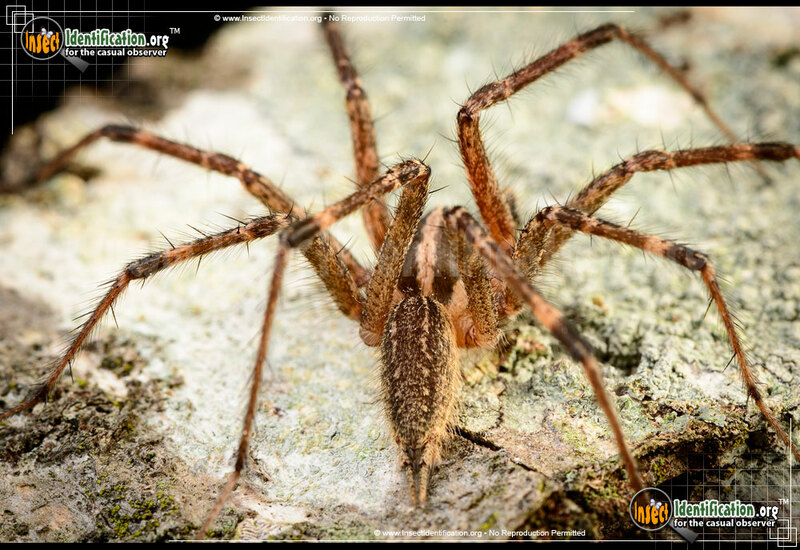 Detailing the physical features, habits, territorial reach and other identifying qualities of the Grass Spider. 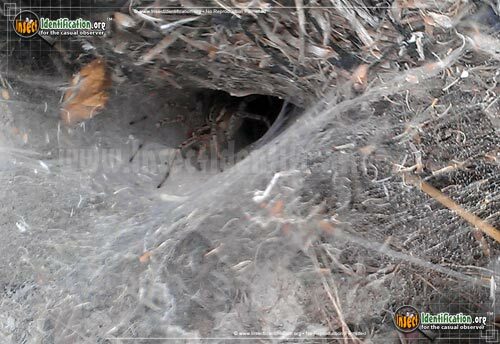 Funnel-Web Spiders, or Grass Spiders, build a small vortex of web into the grass, lunging at any insect prey that has the misfortune of passing too closely. 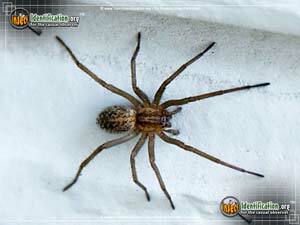 Grass Spiders are common sights throughout North American summers. They belong to the family of Funnel Web Weavers. Noted for the shape of their webs, a Grass Spider creates a cave-like web in a grassy lawn, and hides in the back of it. It has large spinnerets on the tip of the abdomen that look like short tails, and it uses them to build a web that resembles miniature black holes among blades of grass. Theses funnel webs can also be found in low-growing shrubs, in the crevices of buildings, or along the bottoms of fences. 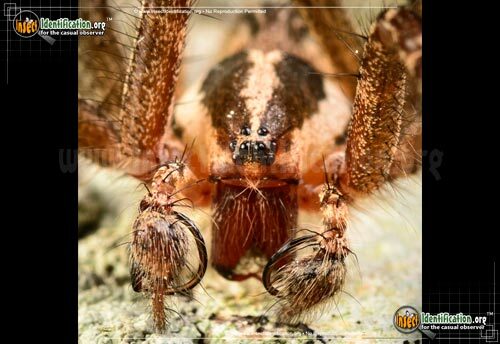 Grass Spiders are fast movers and catch their prey, dragging the catch into the funnel of the web. 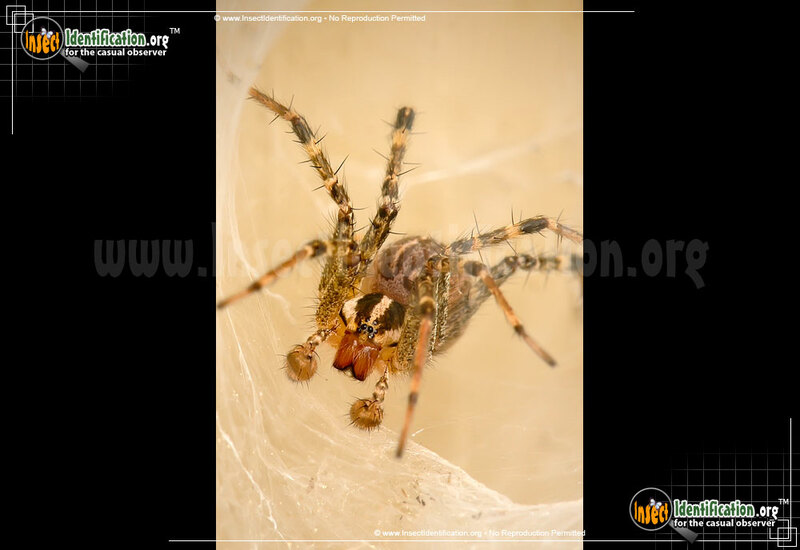 Unknowing insects can also wander into the opening of the funnel and become entangled, triggering telegraph lines that inform the spider to respond. The speedy Grass Spider pounces on the prey and eats it at its leisure. 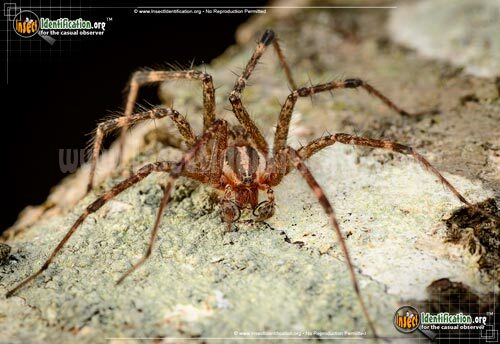 Often mistaken for Wolf Spiders, Grass Spiders have a similar color pattern on the cephalothorax (head region). Two black lines run down either side of a tan midline. These dark lines are not as thick or dramatic as in Wolf Spiders. 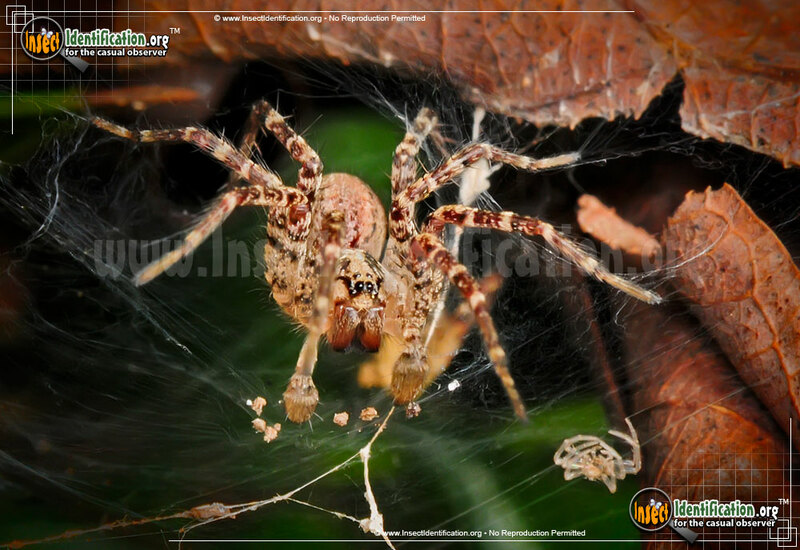 The abdomen is the best place to look to tell these arachnids apart. 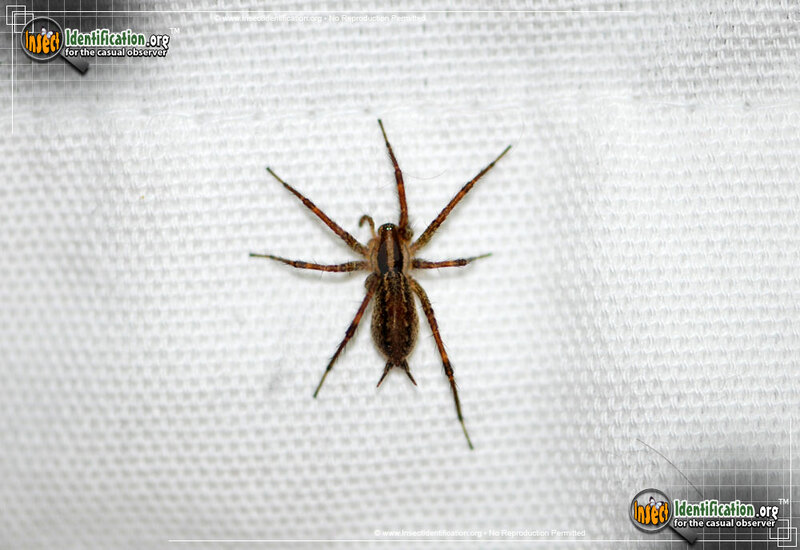 The pattern on the Grass Spider's abdomen may begin with an extension of dark lines, but it is mostly covered by a series of chevrons. 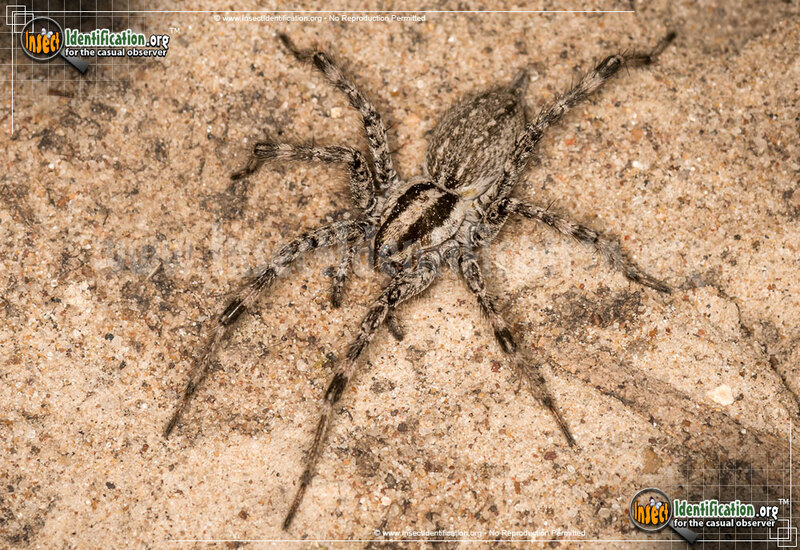 The Wolf Spider abdomen has a bold black line right down the middle that comes to a point, and lacks the light chevrons. 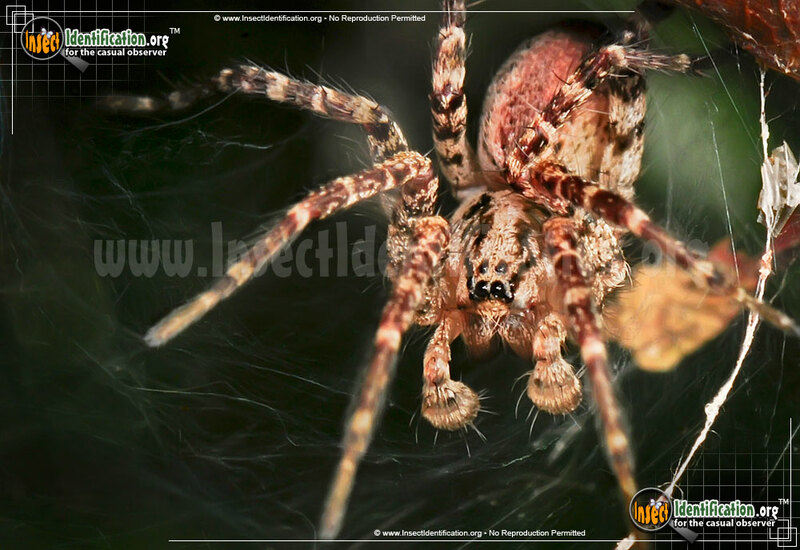 A Grass Spider is unlikely to bite and does not have poisonous venom. 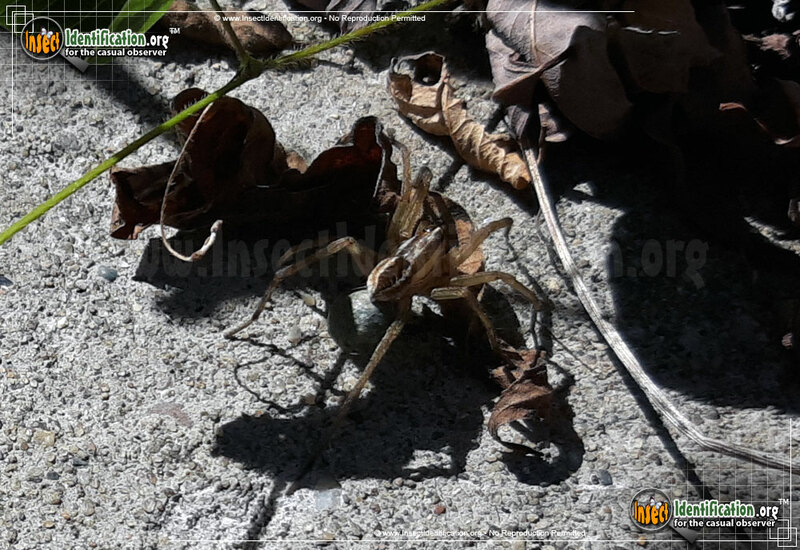 A Wolf Spider will bite and the wound will hurt for a while. Male Grass Spiders are smaller than females. 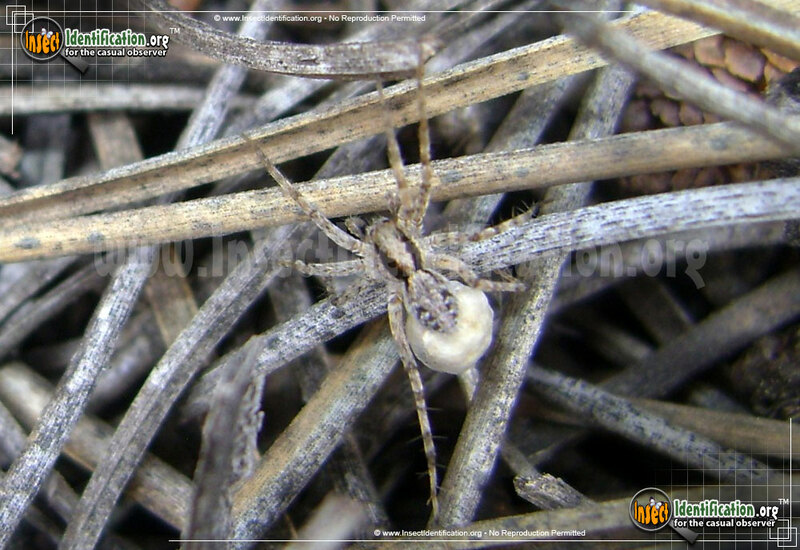 Females lay egg sacs that overwinter, hatching spiderlings in the spring. 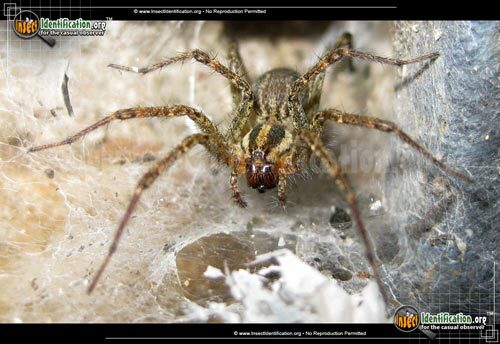 Sometimes the egg sac is found at the edge of the web, sometimes at the feet of the dried up, dead mother. 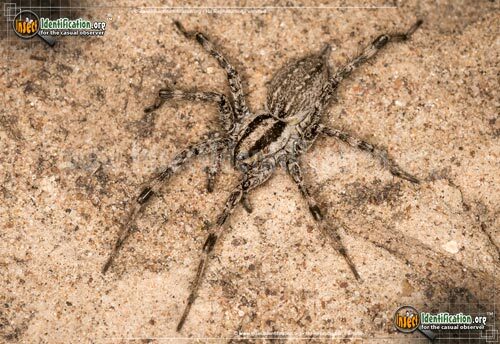 When the eggs hatch, they yield a bounty of hatchlings that will scurry about and build individual nests spread away from one another. These small webs will increase in size and visibility the bigger the spider gets. 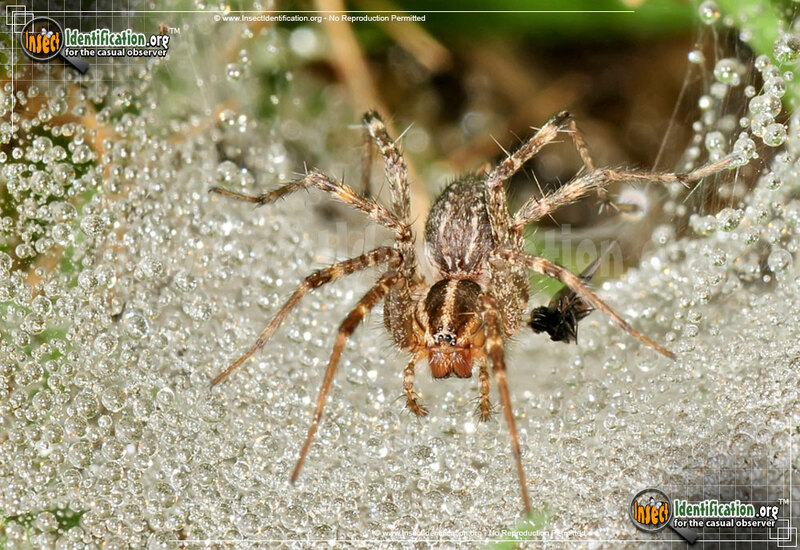 These webs are most visible after a rain, when water droplets cling to the silk and reflect light. If not for dew and rain, most people never realize how many Grass Spiders are actually inhabiting their front and backyards.